Rory Wilson '18 is headed to the University of Sheffield, where the Center for Engaged Philosophy is committed to using philosophy for good. 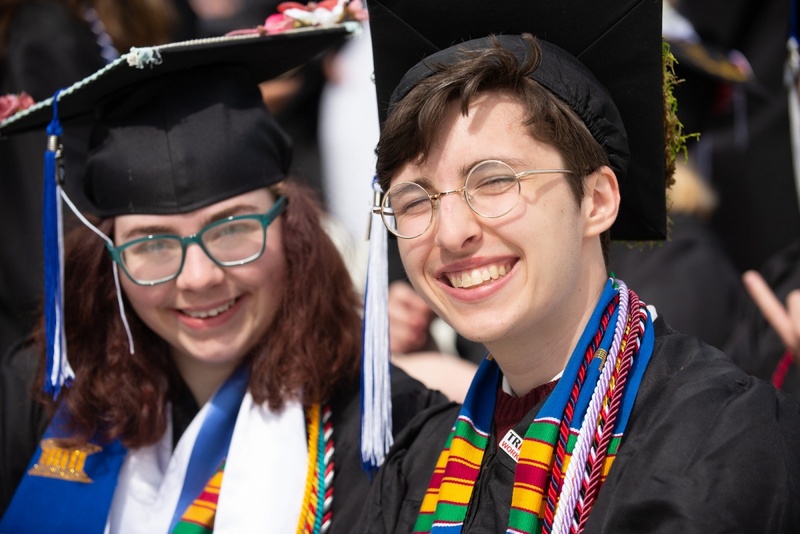 Rory Wilson ’18 is no stranger to making a difference, working for a year and a half as chair of UNH’s Alliance and serving on the executive board of the Diversity Support Coalition (DSC). Rory Wilson is one of a record number of UNH alumni who've received prestitgious Fulbright awards for the year ahead. “Under the DSC, I was able to see the creation of the Trans Care Packages initiative, which offers transition supplies to UNH students in need,” Wilson explains. “My time in all the organizations of the DSC has been incredibly meaningful to me as I have met the most intuitive and resourceful people through social justice work. What the individuals in the DSC were so gracious to teach me has made me the person I am today, a person able to see things from multiple perspectives and who is able to speak up when I see mistreatment." Beginning this summer, Wilson is taking that commitment to social justice to a new level with a Fulbright award to begin a master’s degree in philosophy at the United Kingdom’s University of Sheffield. “The University of Sheffield department of philosophy hosts the Center for Engaged Philosophy, which focuses on how to utilize the discipline of philosophy for social good,” Wilson says, adding, "I feel that it is exactly where I need to be next year." Wilson credits being a McNair scholar with helping make this next step possible.